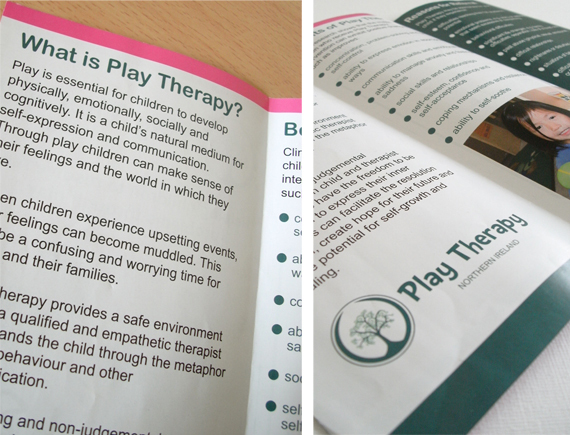 Chew Design recently completed design of a brochure for Play Therapy Northern Ireland. 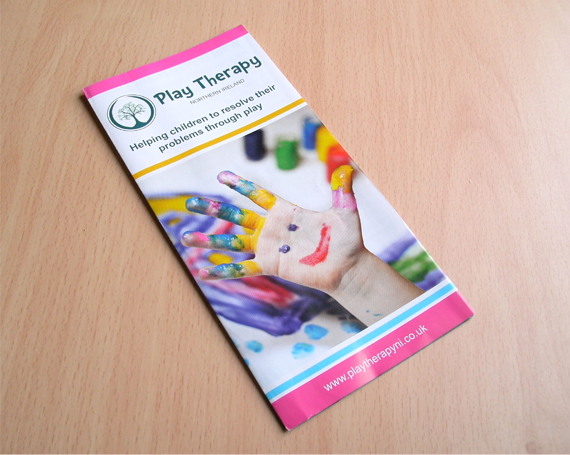 Having also designed the logo for Play Therapy, the design of the brochure was informed by the playful look and feel of the logo. Colours used are bright and ideally combined to draw the attention of the reader. 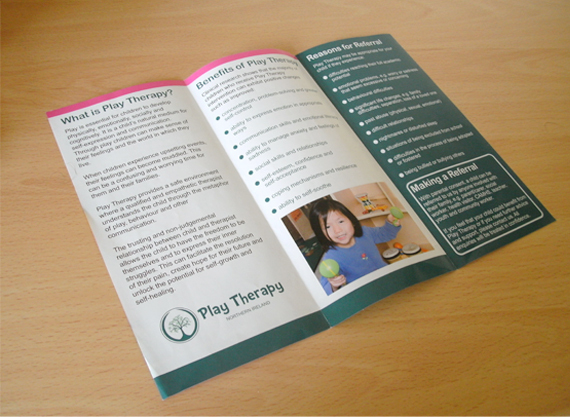 The brochure has a playful feel and this successfully combines with a more serious layout, highlighting the fact the brochure is an informational tool for any parents with children in or needing therapy. The colours add a sense of reassurance and help highlight the worthwile services this organisation provides in the community. The logo is prominent, its playful use of stylized font creating an interesting backdrop to a service so cherished by parent and child alike.